It’s the middle of the week again, and HOLI is just a day away. Do share in your plans for HOLI!!! I for one plan to eat, sleep, and make merry by eating loads of gujiya and of course playing with my son. And please welcome the official NAILS of the week. Price: INR 90 for 7 ml of the product. 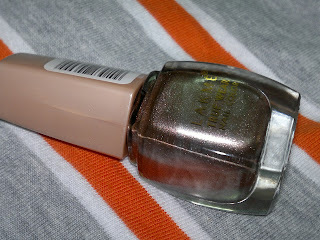 The nail paint is LAKME true wear Metallics 241. 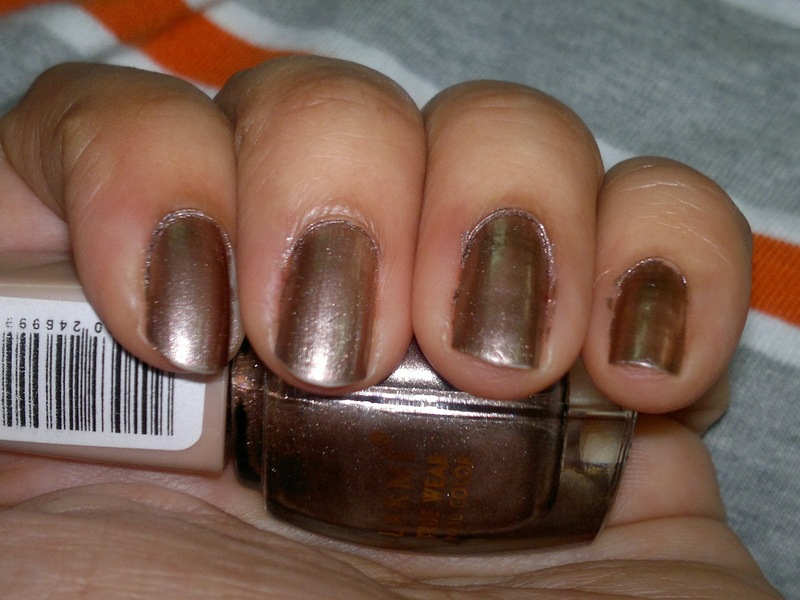 It’s a very office color, though shimmery, looks appropriate for office wear. And it dries quickly in about 5 minutes flat giving us a super fast manicure. Product rating: B+, available at most LAKME counters and also on most online shopping websites. Would definitely recommend it to office going people, as the shade is quiet office appropriate.